There’s nothing like an adventure by train for kids to enjoy when they’re off school for the holidays. But it’s even better when there’s something great to look forward to at the end of it. So if you’re looking for affordable ways to keep the kids entertained and out of the house over this half term, then look no further. Here’s our guide to the top Half Term Activities in London, all easily accessible by train. Kids travel for just £2 (on weekdays and weekends) and adults get 25% off too. Plus you also get a Zones 1-6 travelcard included for hopping on and off all TfL stations. In celebration of International Language Day, come and join in on this colourfully captivating adventure exploring all manner of myths and folklores from around the world. There are tales to listen to, performances to watch and creative workshops to take part in. It’s set to be an exciting day that will guarantee to teach you something – no matter what age you are! How much? It’s completely free – just turn up and enjoy. How to get there? 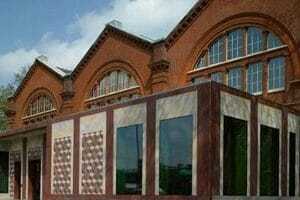 Take the c2c train to Limehouse and change for the DLR to Westferry. Back by overwhelming popular demand, the Imagine Children’s Festival focuses on the best of the best of children’s literature, music and theatre. Notable events include a Peppa Pig concert, talks and appearances with famous children’s authors and a sandpit with an interactive surprise (plus much more). When? Come along to enjoy a full day of fun at the Southbank Centre between February 13th – 24th. How much? Times and prices vary so check the full programme here. How to get there? Take the c2c train to Fenchurch Street and change for Underground at Tower Hill to Embankment. This incredible indoor city is not just for kids, it’s also run by kids too! Have your little ones experience the life of an adult at Kidzania by choosing real-life jobs from Doctor to Dancer, Fire-fighter to Actor and Dentist to Police Officer. These entertaining activities are designed for kids to learn independence and responsibility in a safe and secure environment, no matter their age or personality. When? Located at Westfield, Shepherd’s Bush and is typically open 7 days a week (check website for availability). How much? Prices vary from Adult (15+) from £15, Child (4-14) from £18 and Early Years (1-3) for £10. You can get a special 2FOR1 discount when you take the train. How to get there? Take the c2c train to Stratford and change for Overground to Shepherd’s Bush. The world’s largest institute of its kind, this kingdom of child culture and memorabilia boasts a collection of toys, games, costumes and more spanning back to the 1800s. The newly refurbished museum has lots of hands-on stuff for the kids to enjoy too, including ‘Party like a Pirate’ performances and workshops from the 20th – 28th of October, making it a goldmine for that Half Term day out activity. How to get there: Take the c2c to Stratford then take the Central Line to Bethnal Green. Take a journey through space and time when you visit the world famous Royal Observatory. There’s so much to immerse yourself in; from awe inspiring Planetarium shows by expert astronomers, stand atop the Meridian Line where the east meets the west and you can also lay your hands on a 4.5 billion year old meteorite. There’s also a lot more to see and experience, making the full day trip out well worth it. How much? Adult tickets £15.00 and child tickets £6.50. How to get there: Take the c2c train to West Ham, Jubilee Line to Canary Wharf, DLR to Greenwich. Take in the breathtaking views from atop the London Orbit, 80m above the ground, before zooming down on the world’s tallest and longest tunnel slide. There are also other things to enjoy here like descending down the 455 specially designed soundscape stairs to hear London echo around you. 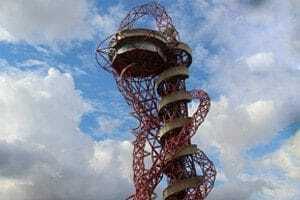 You can also abseil down the entire Orbit – if you’re brave enough! When? Monday to Friday 11am – 5pm. Weekends and School Holidays 10am – 6pm, last entry at 5:30pm. How much? Adult ticket from £16.50, child ticket from £10.50. There is also a Family of 4 ticket (2 adults and 2 children, aged between 8-16), for £52.00. How to get there: Take the c2c train to Stratford. Join in on the search for the infamous Cheshire Cat through this exciting interactive treasure hunt for clues across London. By using your mobile device and your wit, you’ll receive clues by text from the Cat himself to track him down through the curious and Wonderful places throughout the city. Expect to walk up to 3 miles around London, so we’d recommend children aged 10+ for this adventure. When? Start location is at the National Portrait Gallery and is playable across all days of the week; however start times vary depending on day played. How much? Tickets cost £25 per person. How to get there: Take the c2c train to Fenchurch Street and change for Underground at Tower Hill to Embankment. Let your little ones grow into little adventurers through this wilderness skills development day with other like minded children. Led by a fully trained and DBS checked forest school leader, the day helps teach children how to build a fire without matches and cook bread over it. They’ll also build their camaraderie skills in their group and create their very own “green alter-ego”. It promises to be a day filled with natural wonders. How much? Tickets cost £20 per explorer. Browse our amazing selection of 2FOR1 vouchers available at over 150 London attractions, galleries, bike tours, boat tours, restaurants and more. Getting your voucher is easy. Simply click the get voucher button on the page and you’ll be directed to the days out guide website where you can download it directly. Then all you need to do is show it and your valid train ticket to the attraction when you arrive. Here are some of our half term favourites.